Announcement: Introducing New Post Series - BTNT Weekly Special!!! Hello Guys, Now-a-day Many of you may wondering Why there isn't any new article on BTNT. Even Through I said "I'll publish regularly" in my previous article I can't keep posting. So, To solve that problem and keep posting quality articles regularly Today I'm introducing a new post series section named BTNT Weekly special!!! What is BTNT Weekly Special? This series will be starting from Tomorrow(Sunday) onwards. I've created special page for better navigation and it'll be help to follow up the series. you can check the series showcase page here. (Will be active from tomorrow). Like in the BTNT Resource page there is no procedure to get access for the template. To download the template all you need to do is just click download button. You can also subscribe to our email list to get latest updates(Templates) To your Inbox. Get latest updates(Templates) To your Inbox! First Template on BTNT Weekly Special!!! Now you have a overall idea on what this series is about and the new changes. So, The question is "what's the first template on BTNT Weekly Special?" 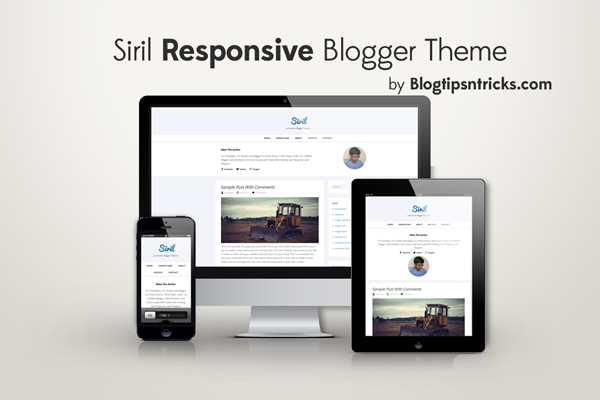 The first template which I'm going to publish tomorrow on BTNT Weekly Special is Siril - A Responsive Blogger theme. Siril is a minimal theme with a clean design. Then main advantage of this theme is page speed, It got 90/100 in Google PageSpeed Insights. Okay, Here is the live demo of the theme. I hope you all like this new template and upcoming templates on this series. To get the templates directly to your inbox subscribe to our email list by using the form given above. Great idea Chandeep. It'll help you keeping up with the readers. And the template was simple yet awesome. Exactly what non-profit blogs need. Thanks for sharing. Perhaps, a great idea by a great designer. Wish you Good Luck with your plannings. Where can i download facebook hack? Great work Chandeep thanks for sharing.